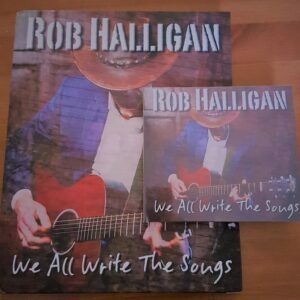 Harback copy of the “We All Write The Songs” songbook. Printed in full colour it contains chord charts for the various tunings with notes on playing the songs as well as the stories that inspire them. There are also two tour diaries, one from the USA and the other from Lebanon.